“For you those of you interested in such things, here’s the story of how this restaurant came about. 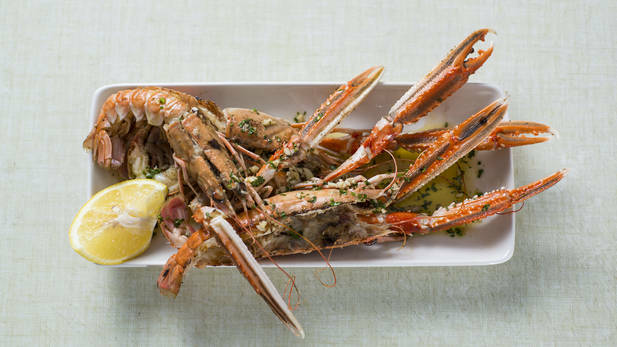 The article detailed how all the best Scottish seafood would leave Scotland headed for Spain, as there was no domestic market for the more esoteric or indeed expensive catches. Now I don’t know if it was the fact that I was reading this one morning in the Californian sunshine over coffee, that perhaps fuelled a little nostalgia and a yearning for the bonnie bonnie banks. It certainly evoked memories of my parents driving me, my brother and sister from Glasgow to Palamos in Catalunya in 1974, and our subsequent yearly pilgramages. Whatever………….. that article stayed with me. Fast forward 15 years, I’ve had enough of the music business and developed a high-level dependency on sherry. 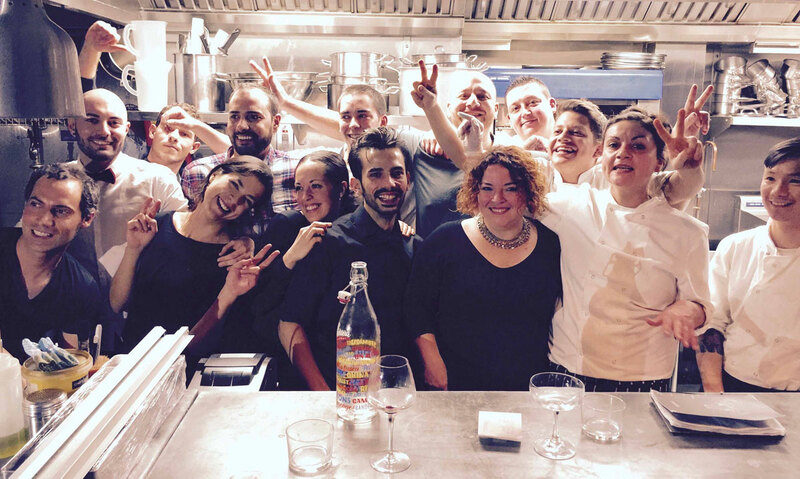 I opened my first restaurant Bar Esteban in 2013, with Pablo Rodriguez from Barcelona and Naroa Ortega from Bilbao. Pablo served time in michelin star restaurant Jean Luc Figueras in Catalunya, before coming to London and working in Barrafina and Moro./Morito. Naroa worked front of house in some of the best restaurants in the Basque country. 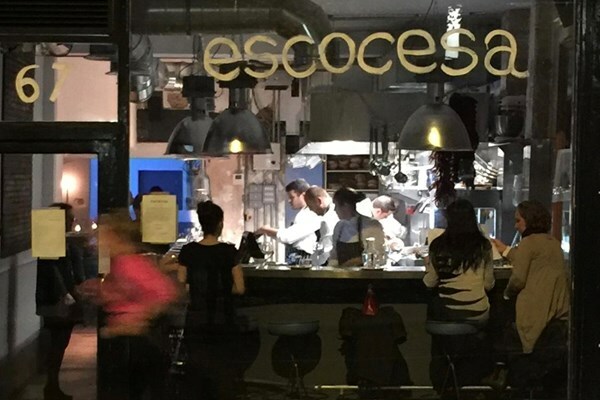 We are joined in Escocesa by David Herrera, from Malaga, as head chef who has done time with Arzak in San Sebastian, before coming to London and working in the Waterside Inn in Bray, and Barrafina in Soho where he met Pablo. So, in a nutshell. we’ll be hi-jacking some of the best Scottish seafood on its way to Spain and serving it along side some of the best Spanish produce, wines and sherries.